This delightful pancake recipe was created by Pomora's friend Amanda at Crafty Cooking Mama - many thanks! You can transform a pretty straightforward breakfast dish into something rather extraordinary simply by changing a few ingredients. The blueberries and Pomora lemon-flavoured olive oil really do rejuvenate the dish. 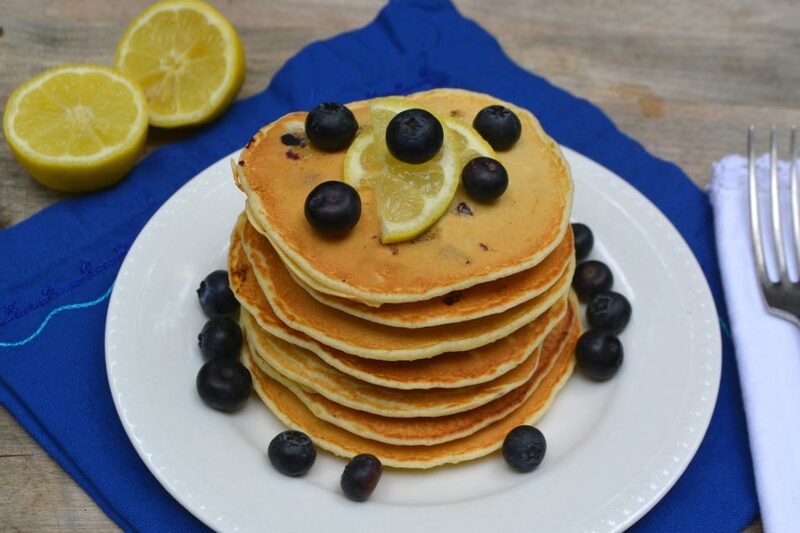 The only question you need to ask yourself is how many pancake stacks you will have! For full instructions, please visit Crafty Cooking Mama.